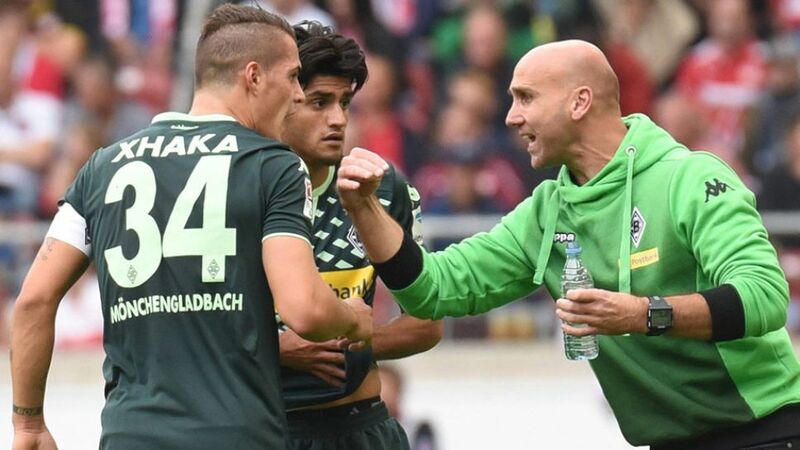 Stuttgart - Following their worst ever start to a Bundesliga season, Borussia Mönchengladbach appear to have turned the corner under the astute guidance of caretaker coach Andre Schubert. "He's just a really positive guy and he has an extremely positive influence on the team," said Gladbach's sporting director Max Eberl to bundesliga.com after the Foals 3-1 win at VfB Stuttgart, their second victory in four days since Schubert took over. It has been a startling transformation from the side that began the season with five straight losses – six including their Champions League debut against Sevilla FC. Lucien Favre's subsequent resignation came as a huge shock, but the sudden change has brought out the best in a number of players, particularly Granit Xhaka, who has embraced the responsibility of captaining the side in the absence of Tony Jantschke and Martin Stranzl.